Case 1. 33yo Female with left side abdominal pain, HR=101, BP=94/64. Afebrile. History reveals patient has addison’s disease and is on prednisone chronically. Pt’s pregnancy test is negative. CT abdomen shows diverticulitis with abscess and fistula. Critical actions: IV fluids, IV antibiotics, patient also requires IV steroids, and surgical consult. Recommended doses of steroids are dexamethasone 4mg IV or hydrocortisone 100mg IV. Case 2. 38yo male with severe knee pain and swelling while playing basketball. Normal vitals. On exam patient has knee swelling and patella is in a more superior position than normal. Diagnosis is patellar tendon rupture. Critical actions: Identify on exam that patient cannot extend knee against gravity. Orthopedic consultation for surgery within about 10 days. Risk factors for patellar tendon rupture are steroid injections, SLE, DM, ESRD, and rheumatoid arthritis. Case 3. 72yo male with dizziness and SOB. Pt is bradycardic. History of HTN, and CABG. Patient has CKD and is on multiple cardiac meds. CXR shows cardiomegaly and post-CABG mediastinum. Some mild CHF findings in lungs. Patient continues to deteriorate with increasing bradycardia. Critical actions: Cardiac Pacing, ACLS says you can try atropine before pacing. When transvenous pacing, you know you are in the right place when you see an injury pattern on the monitor. Elise comment: Know the ACLS algorithms down cold for Oral Boards and for clinical medicine. It has to be a reflex. Harwood comment: If the patient cannot extend the knee they have either a quadriceps tendon rupture, patellar tendon rupture, or a patellar fracture. In patellar tendon ruptures the patella will be high riding compared to the unaffected side. Joan Coghlan comment: On the boards, always ask for a rhythm strip. It will help you focus on the rhythm and help you find a rhythm problem. There was a robust discussion among the faculty about the timing of pacing vs. looking for underlying causes of the patient’s bradycardia. Some faculty felt the patient should be paced before any other diagnostic strategies. Some faculty felt that considering medications as the cause for this patient’s bradycardia and trying some medications like atropine, glucagon, or calcium to counteract possible effects of beta-blocker and calcium channel blocker showed good clinical logic. • Which patient can get TPA at 3-4.5 hours? Answer is D. Contraindications to TPA after 3 hours include age 80 and above, any anticoagulation even sub therapeutic, severe stroke (>25 NIHSS), and a combo of previous CVA and DM. Probably if you wanted to do just one thing to screen for delirium, ask the patient to say the months backward. That should have a high sensitivity to identify cognitive dysfunction. 3. IV Drug user in California presents with: Weakness of eyelids and extraoccular movement, difficulty with swallowing and with speech. Pupillary light reflex is diminished/absent. Extremity reflexes still intact. Think of botulism. Botulism has been seen in the west with heroin users recently. These patients require anti-toxin to shorten the course of illness and lessen the need for ventilator support. 4. Most likely cause of meningitis in an adult: Gram positive cocci in chains. Strep pneumo (60-70%). Strep pneumo, N. meningitides, H. flu are all encapsulated bacteria and can invade upper the airway, survive hematogenous spread and get into the subarachnoid space. With Ellis 2 & 3 fractures, Protect the pulp with a calcium hydroxide cover to give patient time to see the dentist. Chastain comment: To get calcium hydroxide to stick, the tooth has to be very dry. Dry gauze or blow-by oxygen can dry the tooth. Elise comment: You don’t need to go nuts trying to put a calcium hydroxide cover on these teeth. Arranging prompt follow up with a dentist or oral surgeon is most important. 2. Re-implant an avulsed tooth as soon as possible (within 60min). Handle tooth by the crown. Rinse with saline. Acceptable transport mediums for an avulsed tooth: Hank’s solution, Sterile saline, milk, and saliva. Don’t re-implant primary teeth. They have the potential to fuse to the secondary tooth. You have to reassure the parents that re-implanting the tooth is not recommended and can harm the permanent tooth. Give antibiotics and update Tdap as needed for patients with avbulsed teeth. UIC Dental Clinic is available by appointment. Patient has to call between 8a and 9a to make an appointment for the next day in the urgent care clinic (312.996.8636). They accept Medicaid but the patient will also have to pay $50-100. Ludwig’s angina is a cellulitis of the floor of the mouth. Usually due to an infected tooth. Airway management is the main priority, consult ENT and be ready to perform a cricothyrotomy. IV antibiotics need to be given (Unasyn or clindamycin give adequate anaerobe coverage). Chastain comment: In my experiences with ludwig’s, ENT wanted “heroic doses” of decadron. Surgical drainage may be required. 4. Retropharyngeal abscess is more common in kids. It is a collection of pus in the potential space from the skull to the tracheal bifurcation. It usually originates from an infected lymph node. Christine Kulstad comment: not every kid needs to go to surgery. If the abscess is small they can be treated with IV antibiotics. Sam Lam comment: Adults don’t usually have the lymphoid tissue in the throat to serve as a nidus to initiate a retropharyngeal abscess. 5. 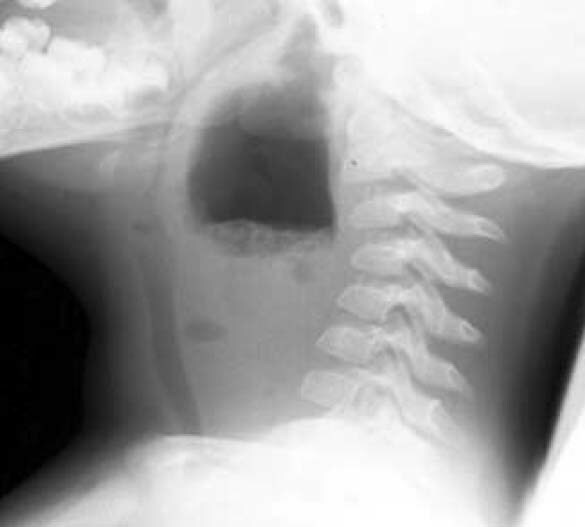 Acute epiglottitis has a higher level of mortality in adults than in kids because doctors are less aggressive with this disorder in adults than kids. Attendings discussed that we generally have the understanding that adults don’t obstruct their airway with epiglotitis and are at low risk for death. We all thought that maybe we need to take this disease process more seriously. Williamson comment: If any patient looks a little toxic and their pharynx doesn’t look that bad, you gotta start thinking about epiglottitis and retropharyngeal abscess. Treat with IV antibiotics and urgently consult ENT. If airway is at risk consult both ENT and anesthesia. Patients with this diagnosis need to be observed in an ICU. 1. The best goal temperature for post-cardiac arrest hypothermia is not known at this time. 2. The optimal timing of initiation and rate of cooling is not known. 3. ACMC protocol: Indicated for patients18yo or older, patients need ROSC with persistent coma, systolic BP that can be maintained at or above 90, hypothermia initiated within 6 hours of resuscitation. Goal temp is 33 degrees centigrade within 3 hours. All patients should receive Tylenol, buspirone, fentanyl to prevent shivering. If shivering still occurs, patients then get magnesium and meperidine. Patients are kept at 33 degrees for 24 hours. After that, patients are kept at 36.5 degrees for an indefinite time period. 4. There is recent data that keeping patients at 36 degrees has a similar outcome as 33 degrees. Kelly comment: You have to be super vigilant if you are keeping patients at 36 degrees to make sure they don’t get above 37 degrees. Elise comment the optimal temperature is still being worked out in research studies. 5. Therapeutic hypothermia is the only proven therapy to lower mortality and improve neurologic function after resuscitation of cardiac arrest. Two studies show a survival rate of about 50%.